I’ll go ahead and say that I have no clue who Sun o))) is, only that some of my friends have been screaming into my ears about the band since they found out Athens dates. Provided, I’ve been doing the same thing about the Minus 5 (TONIGHT! 40 WATT!! ), but the venue choice is a little odd. Of course I’m interested now. Remember Seney-Stovall Chapel? That little place next to the Varsity, from Athens Ga: Inside, Out, where R.E.M. recorded some of Accelerate? That little church place? Yeah, someone thought it would be a great idea to host a metal show there. It’s not a great idea. It’s brilliant! Who would’ve thunk? Sun o))) played last night and will play again tonight but here’s hoping that they don’t accidently almost set the place on fire again. 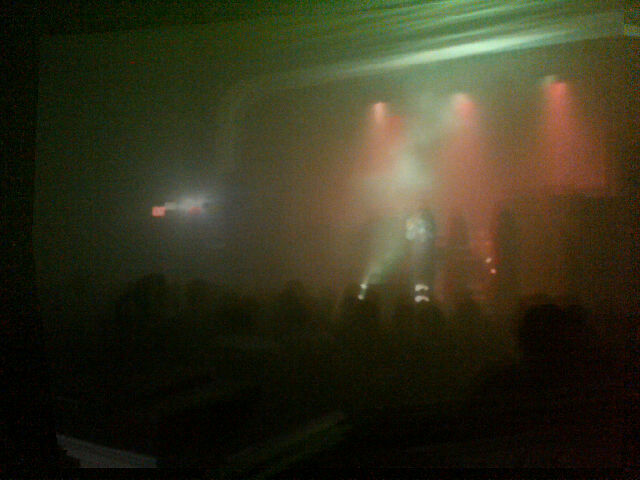 Truth be told, it was just a fog machine. It set off the smoke detectors and made all the alarms go off for a bit. We’ve been assured it won’t happen again but if it does, it just fits the mood right? So if you’re not going to the Minus 5/Baseball Project/Steve Wynn I.V. supercluster o’ talent, you may want to check out the eerie looking outside of the chapel. Previous Post It’s Not an Arch. It’s a Wall.